Why CCSS? 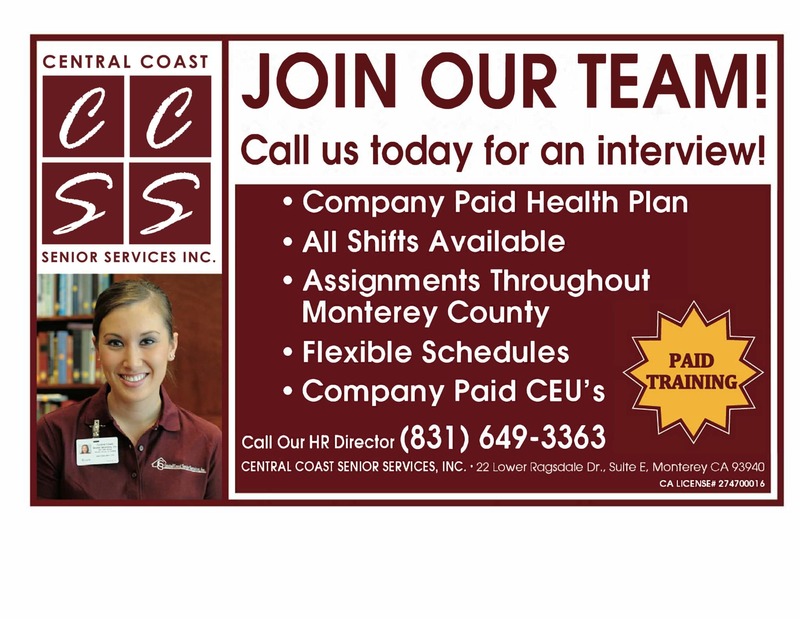 | Central Coast Senior Services, Inc. Your goal is to stay at home. We can help! You’re here because you need help, whether for yourself, a spouse, or a parent. What makes Central Coast Senior Services, Inc. the best choice for your family? Schedule a free, no-obligation consultation with one of our Home Care Managers today, and let us show you why CCSS should be your partner in care. Call us today at 831-649-3363.